A 46-year-old woman from California, Maryland, faces criminal charges for DUI/DWI and other traffic offenses after smashing into another vehicle on Route 235, according to an article by Southern Maryland News Net. At approximately 3 p.m. on February 25th, 2019, Maryland State Police troopers responded to this car accident. Those state troopers discovered that the Maryland woman had side-swiped another passenger vehicle. One injured passenger received medical treatment for minimal injuries. To fully comprehend the severity of the Maryland woman’s situation, it will be helpful to review Maryland laws against and penalties for DUI and DWI as well as reckless and negligent driving. Under Maryland Code of Transportation Section 21-902, it is unlawful to drive under the influence (DUI) of alcohol. When a person has a blood-alcohol concentration (BAC) of 0.08 or more, they are considered to be under the influence of alcohol in Maryland. Third or Additional Conviction — Can lead to a prison sentence of three years and a fine of $3,000. Maryland Code of Transportation Section 21-901.1 provides the legal definition of reckless driving. When a person drives in a manner that demonstrates or indicates a disregard for other people or property, they are guilty of reckless driving in Maryland. Any person who commits reckless driving is guilty of a misdemeanor offense. Though unlike DUI/DWI, the penalty for reckless driving is normally limited to a $1,000 fine. Section 21-901.1 also prohibits any person from driving in a careless way that endangers other people or property. This is referred to as negligent driving under Maryland law. Like reckless driving, this offense is a lower-level misdemeanor. Negligent driving is usually punishable by a small criminal fine. If you need legal help with DUI/DWI or other traffic offenses in Maryland, it can be demonstratively beneficial to contact a competent criminal defense attorney. 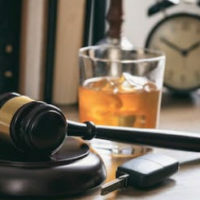 The Baltimore DUI DWI attorneys at Iamele & Iamele, LLP know how to provide zealous representation for criminal defendants in a variety of contexts, including DUI/DWI and other traffic offenses. If you need legal help, contact us today for a free initial consultation.